Our Top Selling Shirt...now available in Black. Sometimes your night gets out of control when you and your buddies go out. Drink in your hand, boy on your arm...dude you are Trouble. 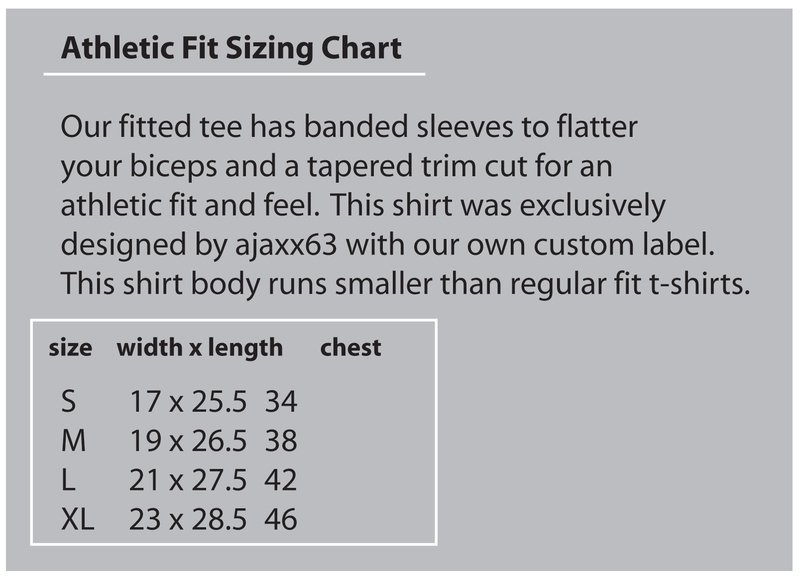 Lush, oversized, high chest placement, 2-color tonal grey graphic on ajaxx63's re-styled athletic fit banded sleeve tee. The fit and feel of this shirt, softer and higher quality, is nothing short of amazing. It hugs the biceps and shows off what needs to be shown off in pure ajaxx63 style.